Should 1000 IU be the new RDA for vitamin D? Vitamin D deficiency is generally accepted to be a blood level of 25-hydroxyvitamin D 25(OH)D less than 20 nanograms per milliliter (ng/mL) or 50 nanomoles per liter (nmol/L), a threshold supported by both the National Academies of Sciences and the Endocrine Society. As with other vitamins and minerals, government bodies have established recommendations for the dietary intake of vitamin D to prevent deficiency in the general population. One such recommendation, put forth by the National Academies of Sciences, is the recommended daily allowance (RDA) of 600 IU per day for both children and adults up to age 70. The RDA represents a level of intake believed to meet the nutritional requirement of 97.5% of the population. As such, virtually all people should be able to increase their blood levels of 25(OH)D to above 20 ng/mL by consuming 600 IU of vitamin D per day, be it from food or supplements. Importantly, the studies used to establish the RDA were performed exclusively in Northern regions during winter months to rule out the possibility that skin exposure to sunlight contributed to vitamin D requirements (since we naturally make vitamin D when the skin is exposed to sunlight or UVB radiation). The National Academies of Sciences used a standard meta-regression approach to analyze several large randomized controlled trials to determine their vitamin D recommendations. Essentially, vitamin D intake is plotted on the x-axis and 25(OH)D levels are plotted on the y-axis. Each data point represents one study, an average value representing all individuals. Although this approach accounts for between-study variability, it cannot incorporate between-participant variability, which is crucial for estimating individual recommendations. If we instead plot every single participant used to determine the plotted averages in the standard meta-regression, then we have a meta-regression based on individual participant data (IPD). This approach is considered the gold standard for aggregating data because it minimizes publication and reporting biases and allows for detailed data checking and verification. The study at hand was an IPD meta-regression of several large randomized controlled trials to determine the dose-response effect of vitamin D intake on serum 25(OH)D levels and compare this result with that obtained using a standard meta-regression of the same data. Current recommendations for vitamin D intake were formulated with the use of a standard meta-regression analysis that looks at group averages rather than individuals. Using individual participant data is considered the gold standard when aggregating data because it incorporates between-people variability, minimizes publication and reporting biases, and allows for detailed data checking and verification. 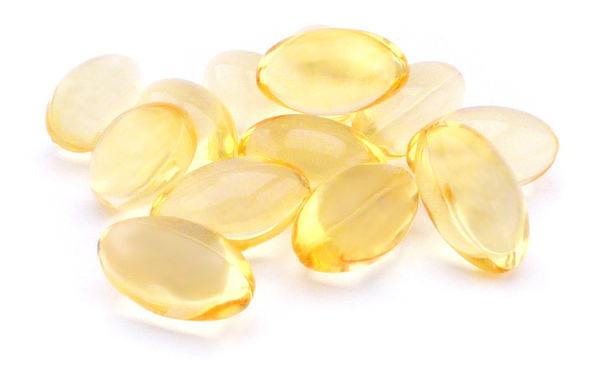 The study under review conducted a meta-regression of several randomized controlled trials to determine vitamin D requirements using both standard methods and individual participant data. The study under review used predefined criteria established by the National Academies of Sciences to search for eligible randomized controlled trials to be analyzed. All studies were performed in healthy humans, never exceeded a supplemental dose of 2000 IU per day, used vitamin D3 and not vitamin D2, provided vitamin D alone and not with co-administration of calcium, were performed during November to March at relatively high latitudes (greater than 49.5 degrees), and lasted at least six weeks. Ultimately, the authors obtained the raw data for seven randomized controlled trials that met their eligibility criteria, which included 23 treatment arms and 882 participants. The National Academies of Sciences used five of these studies in determining the RDA for vitamin D, while the two most recent were published after. The seven studies were analyzed using both an IPD and standard meta-regression to determine the amount of vitamin D necessary to maintain a 25(OH)D status greater than 20 ng/mL in 50% and 97.5% of the population. These values correspond to the National Academies of Sciences’ estimated average requirement (EAR) and RDA, respectively. The data was adjusted for age and baseline 25(OH)D levels. Four of the included studies were conducted exclusively in adults and three were conducted exclusively in children. To ascertain whether age influences vitamin D requirements, a sensitivity analysis was performed using data from the adult trials exclusively (i.e., excluding studies on children). Additionally, the adult trials were analyzed in a second sensitivity analysis that adjusted for BMI to determine whether BMI influences vitamin D requirements. The study under review analyzed seven randomized controlled trials and 882 participants using both an IPD and standard meta-regression to determine the amount of vitamin D necessary to maintain a 25(OH)D status greater than 20 ng/mL in 97.5% of the population. All studies met predefined eligibility criteria established by the National Academies of Sciences. The IPD meta-regression (pictured in Figure 1) showed that 436 IU of vitamin D was necessary for half of the participants to achieve 25(OH)D levels greater than 20 ng/mL (EAR) and that 1044 IU was required for 97.5% of participants to be above 20 ng/mL (RDA). Comparatively, the standard meta-regression resulted in a RDA of 568 IU. There was no significant influence of BMI or age on vitamin D requirements. The study under review suggests that the current RDA for vitamin D may be grossly underestimated because of the choice of data used by the National Academies of Sciences. Using the raw data for each participant from seven studies (IPD meta-regression) results in an RDA that is 84% higher than that obtained using the averages of each treatment arm from the same dataset (standard meta-regression). The findings of this study underscore the importance of the source of data being analyzed. Importantly, the intention of this work was not to challenge or debate the 25(OH)D targets defined by the National Academies of Sciences, but rather to illustrate the discrepancy between recommendations derived from different types of analyses. The disparity arises, primarily, from the inability of a standard meta-regression to account for between-people variability—a problem overcome with the use of the IPD meta-regression approach. IPD analyses are not without limitations. The study under review was limited to seven randomized controlled trials in large part because raw data for other eligible studies was not available. The limited availability of raw data could introduce bias in an IPD analysis. Moreover, obtaining and analyzing raw data from other researchers is far more laborious and resource intensive than using what has already been published. Certainly, collaboration among researchers and a pooling of resources will be of foremost importance if IPD analyses are to become more prominent in research. The strict inclusion criteria used to identify eligible studies for analysis presents as both a strength and limitation of the study under review. On one hand, the strict inclusion criteria resulted in highly comparable and reliable datasets that could be combined without significant heterogeneity. On the other hand, it limited the number of data points for analysis and the external validity of the findings in circumstances that deviate from the inclusion criteria. For example, caution must be used when attempting to infer vitamin D requirements in populations living closer to the equator, requirements during spring and summer months, and requirements in less healthy populations. Additionally, requirements may be different depending on whether one supplements vitamin D3 or D2. The study under review suggests that the type of data used has a profound impact on the analysis outcomes. In this case, using an IPD approach results in an RDA that is 84% greater than that obtained with a standard meta-regression, likely due to substantial between-people variability that a standard meta-regression cannot account for. 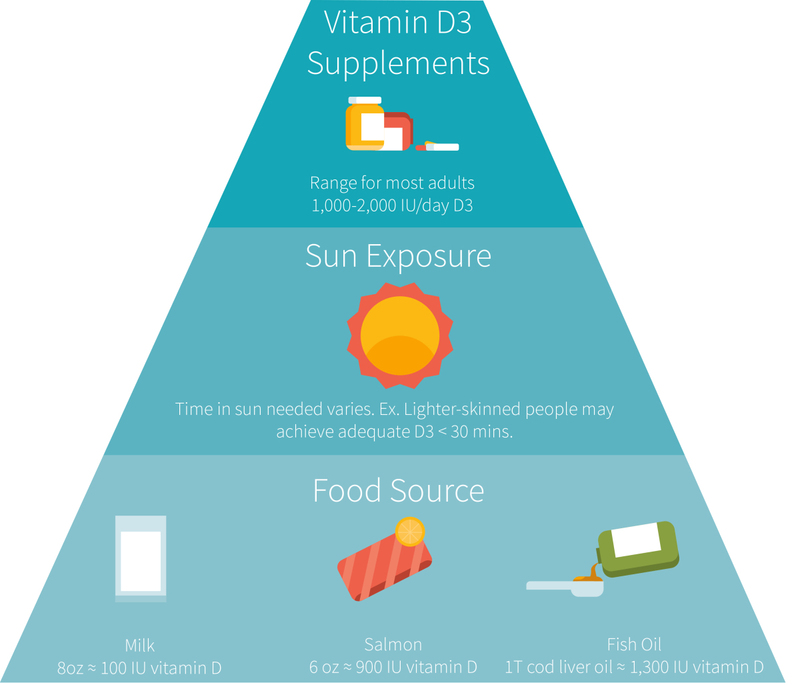 Establishing accurate dietary vitamin D recommendations to prevent deficiency is of obvious concern in a world where many people do not obtain adequate sunlight exposure. Not only are people spending less time outdoors, but when they are outside they are covered with clothing. Moreover, concerns regarding UV radiation and skin damage have led to an over-reliance on sunscreen during times of extra exposure, such as at the beach. A sunscreen with a sun protection factor of 15 absorbs 99% of UVB radiation and completely prevents the synthesis of vitamin D in the skin. It has been estimated that roughly one billion people worldwide are vitamin D deficient, including 41.6% of Americans. It is tempting to believe that current dietary recommendations are to blame, considering that the study at hand suggested they may significantly underestimate actual requirements due to the choice of statistical method used. However, average vitamin D intake levels from foods and supplements (outlined in Figure 2) have a combined range from around 200 to 400 IU per day among Americans aged 1-70 years, which is well below the current RDA of 600 IU. This discussion centers around preventing vitamin D deficiency, but there is an abundance of literature suggesting that higher levels are required to derive full biological activity of vitamin D. The Endocrine Society has suggested that 25(OH)D levels between 30 and 40 ng/mL are ideal and even classified the non-deficient range of 20-30 ng/mL as “insufficient.” As discussed in ERD #7, Putting the ‘D’ in Death, observational research suggests that the lowest levels of cardiovascular and all-cause mortality occur around the 30-40 ng/mL range. Getting people to obtain enough vitamin D, be it naturally or through the diet, is a global challenge with widespread potential for affecting health, considering vitamin D has been implicated in numerous chronic diseases and adverse health conditions, including depression, infections, asthma, hypertension, cardiovascular diseases, autoimmune diseases, muscle weakness, osteoporosis, and cancers. Yet, if people struggle to obtain the current RDA for vitamin D, then acknowledging that it may be underestimated paints a bleaker picture. Certainly, a greater effort to educate the population about the importance of vitamin D and sun exposure will be necessary. One billion people worldwide and 40% of the US population are vitamin D deficient, with the clear majority struggling to meet the current RDA for vitamin D intake. Acknowledging that the current RDA may be underestimated only serves to emphasize the importance of increased public education about vitamin D and sun exposure. Moreover, optimal health may well necessitate a vitamin D status 1.5 to 2 times greater than the current goal of 20 ng/mL, although there is still uncertainty about what constitutes “optimal” levels. Are vitamin D requirements different when supplementing vitamin D2? A meta-analysis of randomized controlled trials comparing the two found that vitamin D3 was more effective at raising serum 25(OH)D levels than vitamin D2. However, there were significant between-study differences that could not be explored because of the sparse number of included trials (a mere seven). Additionally, when trials were analyzed according to their dosing regimen, vitamin D3 was shown to be superior to D2 only when supplemented as an infrequent bolus and not when supplemented daily. More recently, a randomized controlled trial set out to determine the mediating variables of effective vitamin D2 and D3 supplementation. This rather large study of 279 adults randomized to eight different supplement regimens showed that vitamin D3 was less effective than D2 at raising 25(OH)D levels when supplemented daily but more effective when supplemented as a bolus two or four times per week. Together, these studies suggest that requirements may differ depending on the type of vitamin D being supplemented. Vitamin D3 is most effective at raising 25(OH)D when consumed in less frequent, larger doses while vitamin D2 is best taken in smaller daily allotments. Still, one could simply adjust the dose to fit whatever supplement timing protocol they prefer and can stick with. The National Academies of Sciences used a standard meta-regression analysis of several large randomized controlled trials to determine the RDA for vitamin D. A standard meta-regression relies exclusively on the averages of individuals from each treatment arm rather than on the data of each individual, meaning that they can account for between-study variability but not between-people variability. Using individual participant data (IPD) instead of group averages is considered the gold standard when aggregating data because it incorporates between-people variability, minimizes publication and reporting biases, and allows for detailed data checking and verification. The study under review sought to compare the vitamin D RDA obtained when analyzing the same dataset using both standard and IPD meta-regression analyses. Based on seven randomized controlled trials and 882 participants, the IPD analysis resulted in an RDA that was 84% greater than that obtained with the standard meta-regression (1044 vs. 568 IU to prevent deficiency in 97.5% of the population). The findings of this study underscore the importance of the source of data being analyzed and suggest that the currently established RDA of 600 IU may be grossly underestimated.